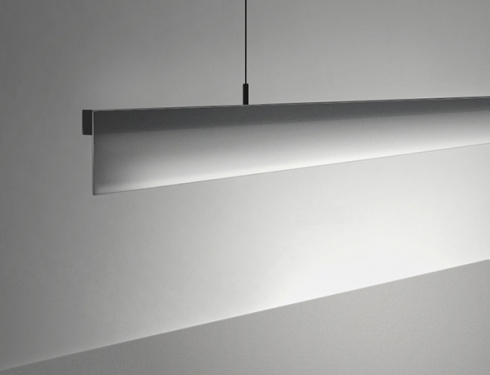 Presented at Light&Building 2018, Pivot is a modular system consisting of connectable parts, available in various sizes and with varying profiles, that rotate around the same axis to create versatile linear combinations. 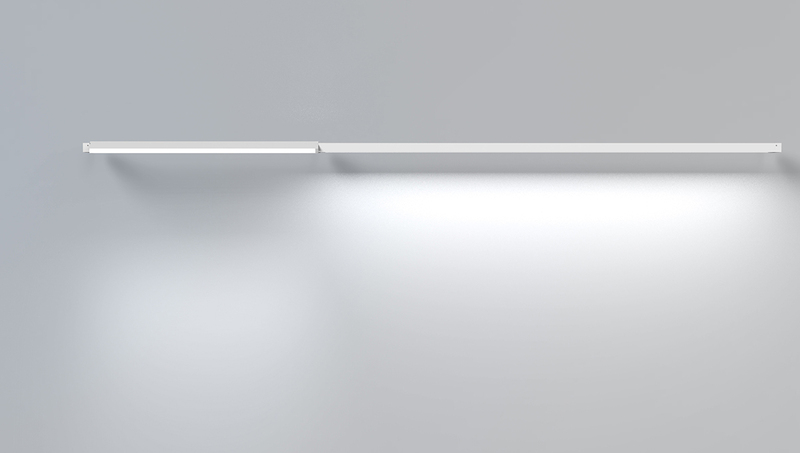 By rotating a section of the lamp one directs the light in the room: the lighting scenario is modifiable from general indirect lighting to highlighting of specific interior items. 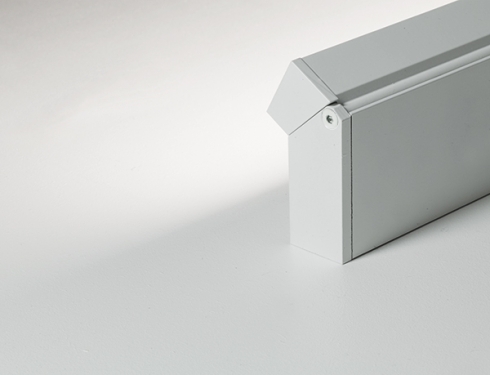 The latter effect can be aided by the utilization of lenses to control the emission of light. 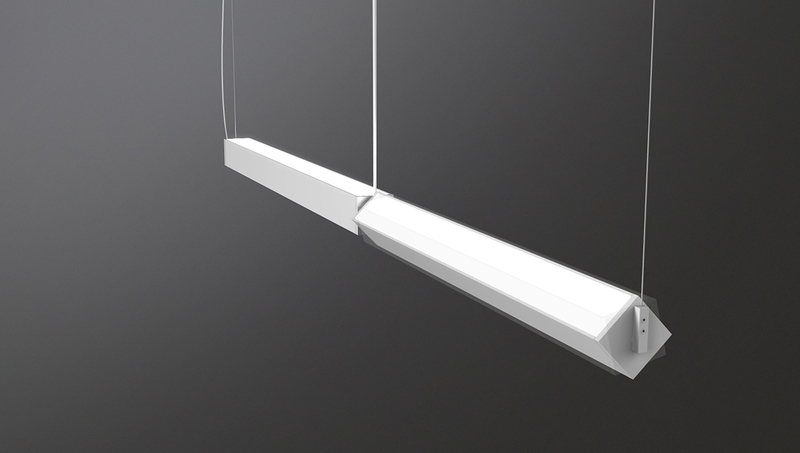 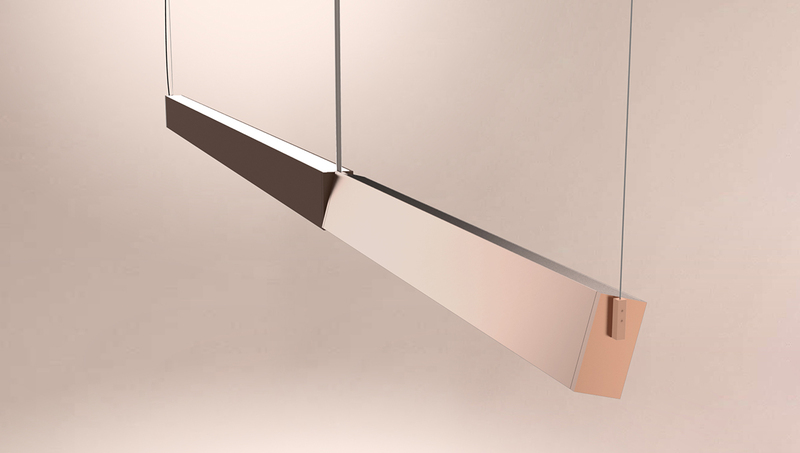 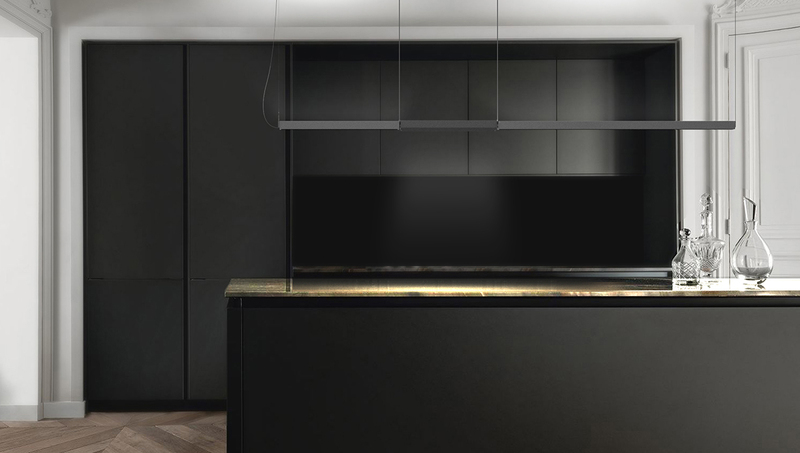 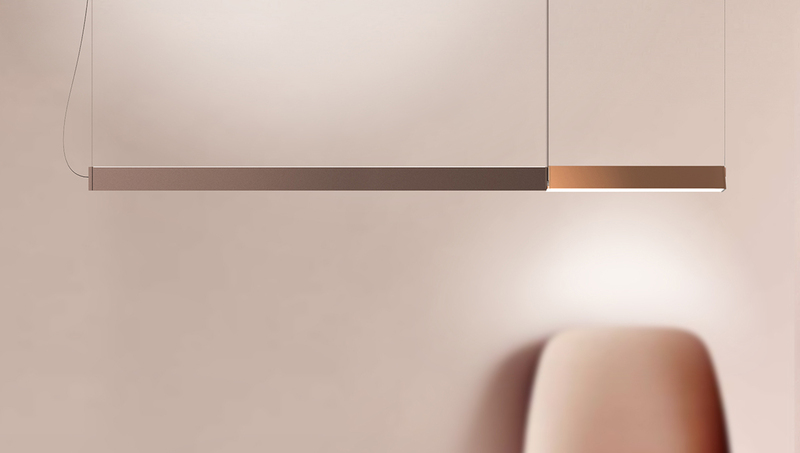 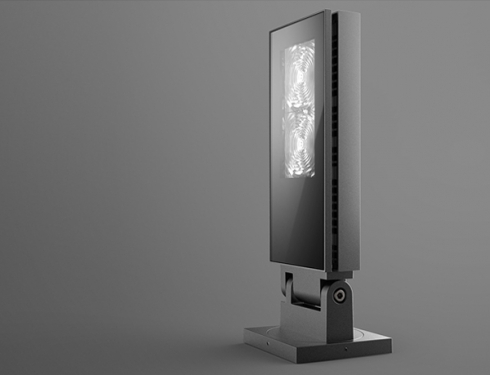 The connectable modules give room to a product line of customizable length, composed by suspended lamp and wall light.